Sigma has issued an advisory for five of its lenses over an error that occurs when they're used with select Canon DSLRs. Affected users are advised to keep the lens aberration function disabled until a fix is released. We have found that some SIGMA interchangeable lenses for CANON are not fully compatible with EOS 6D Mark II, EOS 77D, EOS Rebel T7i, EOS Rebel SL2. When certain lenses are attached to these cameras and the “Lens aberration correction” function on these cameras is set to “Enable” for Live View shooting, an error would occur. Please set the “Lens aberration correction” function of the cameras to “Disable” when using SIGMA’s interchangeable lenses for CANON. In addition, please also refer to other notice below, related to the usage of EOS mount SIGMA lenses on Canon cameras. When the lenses listed below are used on EOS 6D Mark II, EOS 77D, EOS Rebel T7i, EOS Rebel SL2 and the “Lens aberration correction” function on the camera is set to “Enable” for Live View shooting, an error would occur. When using the SIGMA lenses for CANON, “Peripheral illumination correction”, “Chromatic aberration correction”, “Diffraction correction” as well as “Distortion correction” from the “Lens aberration correction” function of the camera are not supported. Therefore, we recommend you to set them to “Disable”. If those functions are set to “Enable”, the performance of the lenses may not be accurate. I posted a more detailed message about this in the Third Party Lens Talk forum , but I didn't see mention here that the fix of disabling aberration correction doesn't seem to work in non-PASM modes. See the post in that forum for more details. Sent my Sigma Art 35 to the German Sigma service due to adjusting and the above mentioned problem. The error problem has been settled since I got to know that lens correction has to be enabled. Another problem left: in liveview, the screen still shows clearly underexposed pictures (around -1,5 EV). I've contacted the Sigma Service again, maybe there'll be an update or maintenance.....? I had also a problem with the sigma 35mm 1,4 art together with my 5dm4. The lens formed concentric circles. After disabling the lens correction the problem was solved. Now it is one of my best lenses. Reverse engineering has its limitations. For having done it several times, I know you cannot be sure everything is right. Some form of standard is required to at least get the EXIF data right. But given manufacturers attitude, that might be an utopia. Are Sigma any better at controlling flare? Genuine question. The same thing happens with the original 6D - and probably all other Canon bodies with lens correction. All a result of Sigma reverse engineering rather than working with Canon (in which case the camera would automatically disable the corrections - such as with Zeiss ZE lenses). No third party manufacturer has access to the original code from Nikon, Canon, Fuji, Pentax, etc. Chipping a lens adds a dongle. There is no other reason to it as to make obsolete what you just bought. Greed and Sigma is still on the lower end. Prefer Rokinon primes. The logic is in the body and not the lens. It is not a new problem - and as new D SLR's are brought onto the market the electronic configuration can change and can occasionally cause a "clash". In this case it is all about the enhancement twitched used by Canon to correct for optical areas such as "peripheral brightness enhancement" commonly needed by Canon D SLR's. The SIGMA wide angle lenses don't need to enhance the edge brightness so if the internal camera system isn't switched off circular rings of lighter areas may be seen in the image. The immediate "fix" is to switch off the sector in the camera menu (as indicated) but note: the SIGMA USB dock will in time (very soon I expect) allow firmware to be updated in the lens and then the lens will be able to speak to the auto on feature in the body and switch it off. Nuff said. Sigma users now pay the price for Sigma's fake /stolen LensIDs. All modern cameras offer lens corrections (like CA correction etc) for their own OEM lenses (only!). The camera has the correction data in firmware and applies it to the image once it recognizes a lens which sends its unique lens ID. Sigma, Tamron, Tokina and other cheap 3rd party makers always have ignored this and often given their lenses lens IDs which have been used already by the original manufacturers. People who use Lightroom or care about metadata know this pain long enough. Now the newer Canon bodies seem to know Canon lenses with lensIDs which are the same as those 3rd party ones listed and apply Canon lens corrections to 3rd party lenses, because they think another lens is mounted. Maybe Sigma could change the IDs in their firmware but this will automatically screw up Lightroom users. Does not sound reasonable. All affected lenses have a unique ID in the list !? If the problem is related to lens IDs, then it's a bug in the firmware of the cameras. The number after the decimal point is not reported by the lens to the camera eg 150.2 is not the number reported to the camera, 150 is. Software such as exiftool uses other exif data eg, focal length, max aperture to work out which lens it actually is and append the ".2" if there is more than one model of lens that reports 150. In camera correction software may not be so discriminating. I'm virtually certain than Sony bodies don't bother and it wouldn't surprise me if none do. Retro engeneering isnt stealing... Geez. You don't expect Canon to provide corrections for SIgma lenses but it is reasonable to expect that lenses report a unique lens id to the camera. In the case of the Sigma 30mm f/1.4 DC HSM above, 150 is reported to the camera. Not 150.2 but 150. 150 is also the id of the Canon EF 14mm f/2.8L so the camera thinks the latter is attached and applies corrections for the Canon EF 14mm f/2.8L which will almost certainly be wrong for the Sigma lens. This situation has been going on "forever" and it would have been so easy to fix. All that was ever needed was Canon (or other manufacturers) to provide unique lens id number to the third party manufacturers for each model of lens. That's all. Just a number. No trade secrets. craig66: The problem is that they then aknowledge their existence, which goes against everything they've done so far. This threatens to become a major issue moving forward, as corrections become more essential and finely tuned to each lens. Availability of third party lenses is a big selling point for cameras, in particular if third parties fill gaps or extend the portfolio. Who does not want to use one or the other Sigma Art lens, for instance? This is why camera manufacturers should support the interoperability with third party lenses. They may loose one or the other sales of an own lens this way, but if they don't support it, then they risk to loose the complete customer and all related sales. why should Canon spend their resources to fix 3rd party product issues? Sigma should nego this with Canon or Nikon. I haven't heard any of such effort from Sigma. Rather expecting their users to channel out their frustration. Canon and Nikon are also lens competitors to Sigma. anybody whom thinks that competitor should share technology or any advantage simply don't understand how the business world works. When Sony Lens lineup grows, they'll start doing similar things to. You don't invest top dollars to develop stuff to simply give it away or help your competitors. Not everyone is for MF and there are Sigma user whom have return their lens due to AF compatibility issues and went for native options. It's a business strategy its works unless Sigma can produce competitive camera body. Vignes: Sony openly acknowledge Zeiss, Sigma and Tamron as lens makers for E-mount. The former belongs to the MFT consortium, too, so they're 100% compliant with the standard. The mirrorless manufacturers are quite a bit more open about third parties than Canon and Nikon are - they relied on them to fill some gaps in their lineup early on, and now must live with other lens providers. you have to look at this from a business point. Sigma is competing with Canon and Nikon. Sony in the other hand at this stage is happy that other lens makers help them close the gap while they're in the midst of developing their own lines lineup. different status. BTW, Sony has direct collaboration with Zeiss... again different status. Zeiss has been a lens maker for a very long time and Canon/Nikon acknowledge them since they're were in the same position as Sony was decades ago before they become an established lens makers. Wait till Sony lens business grows to a point similar to Canon/Nikon and watch the fun. 3rd party lens maker need to find ways to work with proprietary Camera and lens system makers. Can't see Canon/Nikon giving in for free. It'll definitely be a more costly exercise and the cost would trickle down to the users. But Sony openly aknowledges that people adapt lenses to their mirrorless cameras, and have even used it as a selling point. So they're not opposed to third parties - at least not openly. And I can assure you that, things being where they stand now, they'd much rather have all users buying into their lenses over the competition. One more reason to not buy the 6DII - the Sigma 35 f1.4 Art is a much valued Lens of mine. BTW: What is the "Rebel T7i" called outside Trumpland? Is it the 80D? Probably not, because it seems a Digic 7 issue. So which camera is meant by this? It's down to Sigma to make their lenses work with Canon bodies, not vice versa. "Abberation bug" sounds to me like a optical flaw. In fact, it is some electronic communication issue with the EF mount / camera. The lens is misidentified meaning the camera applies the wrong aberration correction profile, which has the effect of creating aberrations. In order for third party lenses to work with the retro engineered af and functions programming they have to asign a lens code the body will recognize. Most likely this bit is doing that camera and lenses cant communicate well and the camera applies aberration corrections for other problems not related with the sigma lenses mentioned in the article. @jennajenna - Well with Sony there are numerous claims that Sony's e-mount is fully open due to their 2011 announcement, with almost no one stopping to think what "basic" means in that offer for specifications. Sigma's E-mount performance is pretty clear evidence that "basic" is extremely limited, likely not even including anything electronic (likely only mechanical mount specifications). jennajenna: Sigma is a family-owned business, but claims to be the largest independent lens manufacturer -- they don't seem to collaborate with any camera makers (they do make cameras of their own). However, many 3rd-party lensmakers have close relationships with camera makers. My understanding is that Tamron in particular has had a number of deals where they made lenses sold under camera-maker brands, so they got the info needed. For example, while Sigma has a long history of Sony incompatibilities, neither Tamron nor Zeiss do -- but they are both 3rd parties who have been involved in producing Sony-branded lenses. Such collaborative deals are common, and that's often how the bigger 3rd parties get access to specifications. PS: Sony's E specs are mechanical only, and available only to approved companies. ProfHankD: It IS strange, but then again, most manufacturers prefer to act as if Sigma did not exist... I'm guessing that the original reverse-engineering they did must've angered the other companies - and the Japanese never forget. But it's also possible that Sigma has never designed for other brands, except Olympus (the FT 70-300mm 4-5.6 in particular, and that may be why they belong to the MFT consortium) because they wouldn't take jobs from them. It's an indication that camera manufacturers never got the Lens ID issue under control. All they ever needed to do was to maintain a registry of Lens IDs and say to the third party lens manufactures "come to us and we will give you an unique ID". Simple. You will find the same issues with Tamron lenses. @ProfHankD - I've always suspected that the 2011 spec announcement was mechanical only (all evidence points in that direction), but you seem a bit more sure than I am - have you spoken to one of their licensees? Zeiss did have compatibility problems with newer Canon lenses - for example there was an issue of severe overexposure when using Otus lenses on 1DX2 and whatnot. Discovered last year. Ilia Snopchenko: I don't think Zeiss has ever had a relationship with Canon. On the other hand, Canon was the first with fully electronic lens control, so there's been more time to reverse engineer and quite a few folks have pretty much gotten the protocol. Canon still "requests" those who know don't publish it. The catch is newer models may use extensions that were not observable in earlier models, hence were not reverse engineered. Canon is a bad boy. Three out of the five of those lenses can't be updated via software. leonche64: Not really, Sigma has the means to update them in their service network, they're just incompatible with the USB dock. Well, that is not a software fix, is it? Technically it is, since a technician connects the lens to a computer, and uses a piece of software to update it. Look, I know this is nitpicking, but I also think that your reply could lead owners of the affected models to think the situation is hopeless, when that isn't the case (not for now, at least). I guess the targetaudience of Sigma Art lenses uses RAW anyway. So no need for CA-correction in the body. Or? Which corrections? Distortion? Sure. Vignetting? Not quite, there's a reason hipsters love that s***. Chromatic aberrations? Pfft, that only became a real concern with digital, which is to say fifteen or so years ago! And, surprisingly, it's the easiest aberration to correct in post with the very dense sensors we use today. People like you give modern lenses an unwarranted bad rap - pretty much every AF lens released in the last 5 years would've simply blown any designer's mind in the 70's, not to mention earlier. But that's the point, software corrections are a fantastic tool, not a cheap shortcut. Aberration correction is a zero sum game in optical design, and one that gets progessively more difficult the higher the order of the aberration. The choice afforded to designers today, however, is fantastic, because they can procure higher resolution and control the stuff that really matters while being allowed the freedom to under-correct distortion and CA. Software corrections aren't some sort of optical sin that condemns designers to Lens Hell, they're a useful tool to pursue ever more ambitious designs. I do agree with part of what you're saying, but the software companies (Adobe, DxO, C1, etc.) already store and maintain databases of hundreds of lens corrections. These new lenses might be incompatible with JPEG in the future, but they will perform to their best in raw many, many years from now. Sad to know, that's an orphaned lens that also has no direct descendant. The most interesting thing about this article to me is the reference to the 77D as the 9000D. Is this a regional thing? I believe 77D is only used in the US, or maybe only in North America. Everyone I know overseas with Rebels have a XXXXD type model name. Basically, Canon has three naming schemes for DSLRs below the 80D level. They're called Rebel in the Americas, Kiss in Japan and xxxD/xxxxD in the rest of the world. The 77D is an exception; it's called 9000D in Japan, but 77D in other regions (not just in North America). One has to wonder, though, what is the point of having these different regional names? And only for some models, not all of them. Panasonic does the same thing, so it's not just a Canon idiosyncrasy, either. Southeast Asia here calling it 77D. Never heard of 9000D. In some regions, some numbers are considered very "unlucky". While 13 is considered "unlucky" in North America, it's not to the degree that some other numbers are considered "bad" in other countries. Among other reasons... As another example, "Chevy Nova". 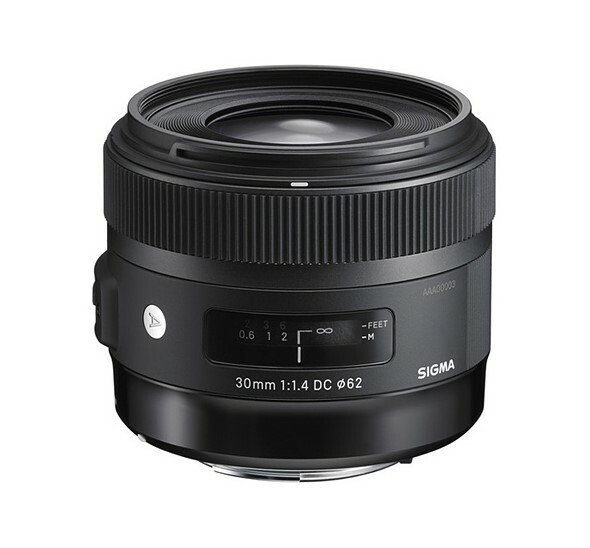 I swore off Sigma lenses years ago after their first EOS/digital compatibility fiasco. Many Sigma EOS mount lenses became effectively obsolete at that point. Now, history seems to be repeating itself. BTW, I've never had a similar problem with Tamron or Tokina lenses. Not fair to get upset with Canon about changing from FD to EF mount - best decision they ever made because the FD mount was a mess by that time. As soon as they adopted AF lenses they created an all electronic mount with in-lens motors and that was prescient. FDn was a modification of the original FD breach lock design, which I prefer but everyone got out of whack by rotating the collar when off the camera, confusing some people and a common complaint. Lenses simply took longer to mount for the average person. FDn made it fool proof but it was a kluge. FD grew out of FL, which grew from the original R mount. Modification upon modification. Nikon stayed with F and made it work but it's less than ideal today, and today's EF mount is superior to Nikon's F mount. Considering every EF lens ever made works with every EF and EF-S mount camera ever made and with Nikon you need pages of tables to work out what works with what, and with what limitations (I've given up keeping track), I think I'm okay with it, despite still owning an FD camera (and using it multiple times this year). @ Dr_Jon: So no compatibility with legacy mounts is better than some, because it's too complicated. Good to know. Of note: The problems listed with these Sigma lenses along with the lenses on Sigma's list all fit in the category of "Sigma can fix these with a firmware update". Although I'm surprised Sigma didn't just issue a firmware update - wait a second, I'm not surprised. They schedule-slipped promised firmware updates for the MC-11 by nearly a year. Dr_Jon: That's just not true. Have you ever looked at the 1DX's manual? It's page after page of compatibility constraints with different EF lenses regarding AF points, metering, and continuous shooting. Sure, (almost) any EF lens works with any EF body, as long as you use center point, S-AF through the viewfinder, matrix metering and single frame advance. Mirrorless cameras can do better with manual lenses! Plus to whoever said no compatibility is good I didn't say that, just that the EF mount has proved a great success and Nikon keeping the F mount has endless issues with lenses not working on cameras. I'm sure any Canon FF mirrorless mount, if not EF, will work seamlessly with EF lenses via an adaptor. There was a Canon FD-EF adaptor, for those that forgot, but it wasn't the best thing ever.